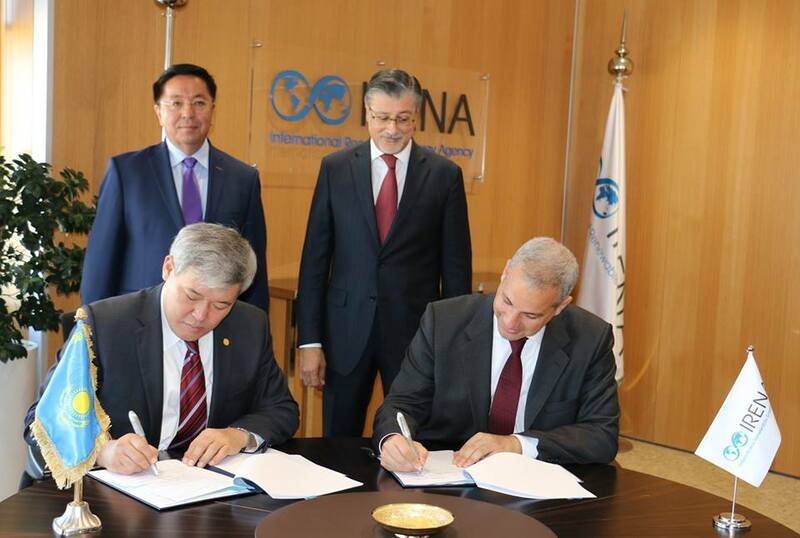 ASTANA – The International Renewable Energy Agency (IRENA) officially confirmed its participation in EXPO 2017 during the recent meeting of IRENA Director General Adnan Amin and EXPO 2017 Commissioner Rapil Zhoshybayev in Abu Dhabi. 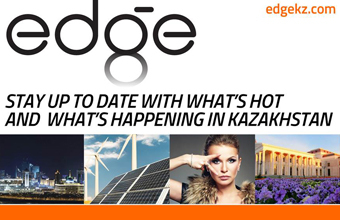 The sides reviewed Kazakhstan’s current and potential cooperation with IRENA, including the agency’s participation in the expo and the joint promotion of the EXPO 2017 theme, future energy, at major international platforms. Zhoshybayev also discussed Kazakh President Nursultan Nazarbayev’s global initiatives in the field of sustainable development, which have received international support. They discussed the possibility of holding an IRENA panel session during the Ministerial Conference of the UN European Economic Commission in June next year in Astana, which will take place within the framework of EXPO 2017, as well as organising training for Kazakh specialists at the IRENA Secretariat. According to Amin, IRENA is very interested in participating in the expo because of the logical connection between the organisation’s pillars and the future energy theme. Salem Al Ameri, deputy general director of the UAE’s National Media Council, pointed out that the UAE was the first Arab country in the Middle East to officially confirm its participation in EXPO 2017. It was also noted that the country invited Ralph Appelbaum Associates, the world’s largest developer of exhibition and museum designs, to help develop the concept and design for its pavilion. The UAE pavilion will demonstrate advanced technologies and scientific developments in the field of renewable energy. Zhoshybayev also met with Anca Westley, who directs Abu Dhabi Sustainability Week & Special Projects for the Masdar Company; Frederic Theux, president of Reed Exhibitions Middle East; and Naji El Haddad, executive director of the World Future Energy Summit that will be held on Jan.16, 2017 in Abu Dhabi. In 2017, the summit will focus on trends in financing renewable energy projects, the importance of energy efficiency in existing and future buildings, smart infrastructure and innovation. In 2016, the exhibition at the World Future Energy Summit brought together 600 companies from 32 countries and more than 30,000 attendees from 150 countries.